Now, using the Digital Spoon Measure, you can take guesswork out of all tsps and tbsps. Using this spoon, you can easily measure all of your powders, granules, gels and liquids up to a generous 300g (or 10.58oz). 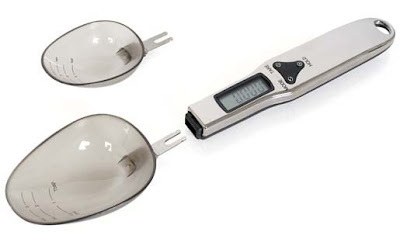 All it is required to measure to do is, scooping up your pile of powder and the digital readout in the handle will tell you the exact weight.